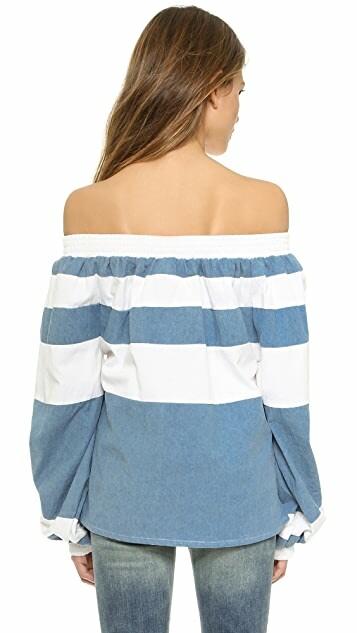 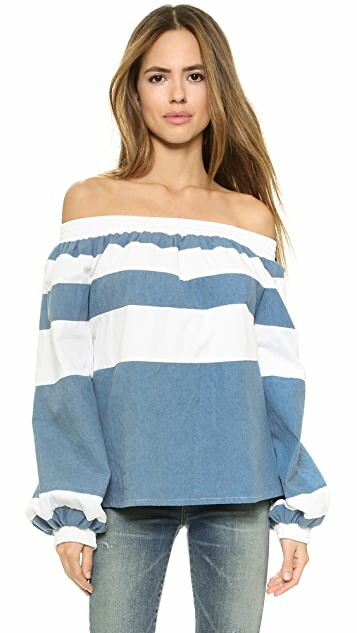 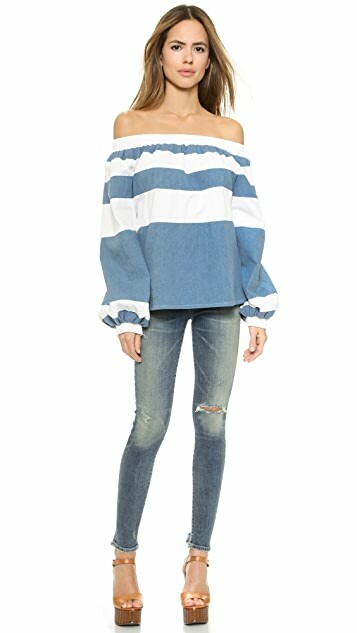 This off-shoulder MLM LABEL top has bold, variegated stripes and a boxy fit. 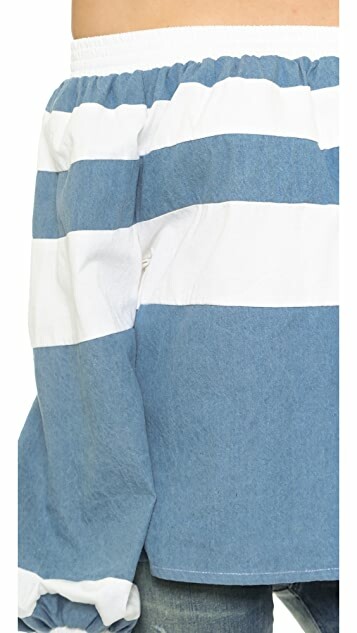 Smocked elastic banding traces the neckline and cuffs. 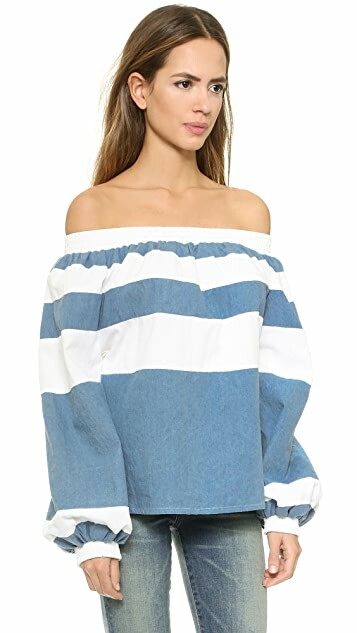 Great top...but the selves are very long so you have to push them up the arm to make it work...but then it just looks like a bunch of extra fabric on your arm.